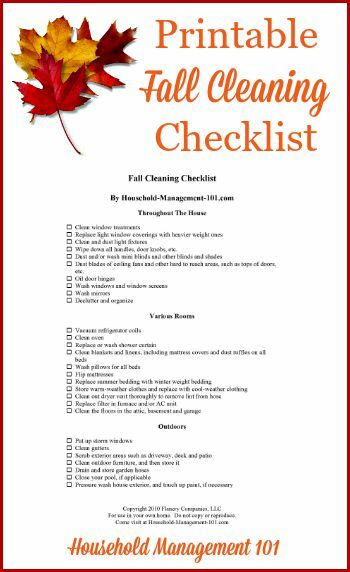 Once the air gets a chill to it you know its time for your fall cleaning checklist, so you can get your home and your family ready for the cold weather. Cleaning your home in the fall, just like for spring cleaning, is about renewal, and getting your family prepared for the upcoming seasons. I generally recommend doing your bigger deep cleaning in the spring, after the long winter stuck indoors. However, you still need to do a smaller fall house cleaning. Since this is a once a year event I suggest using a checklist so you don't forget anything. 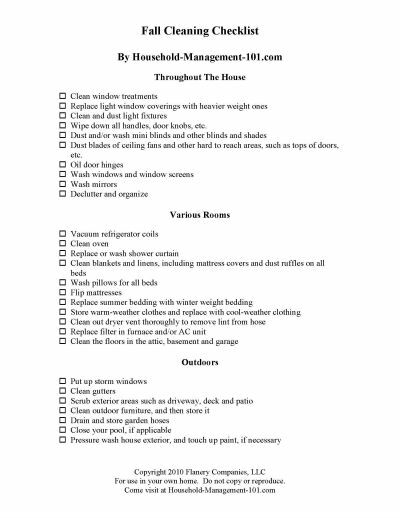 Below I have listed everything you need to do as part of your autumn cleaning. To get the printable version of this list scroll to the bottom of this page. 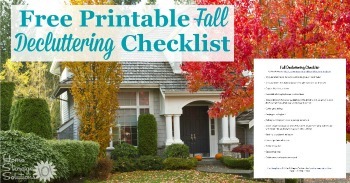 Would You Also Like To Declutter This Fall? 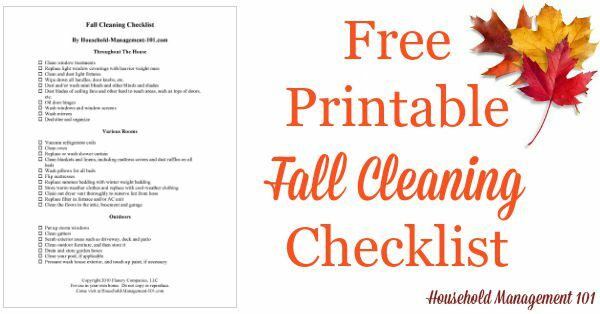 Would you also like to declutter this fall? 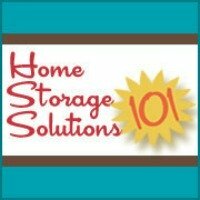 If so, make sure to get a copy of the Fall Decluttering Checklist on the sister site, Home Storage Solutions 101.